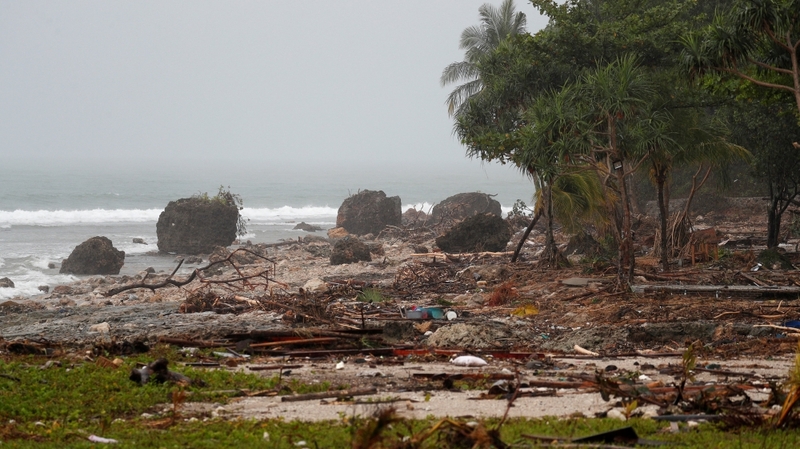 Torrential rain and the possibility of more huge waves are making Indonesia’s tsunami victims even more anxious, as authorities urge residents near a rumbling island volcano to avoid the coastline amid warnings of “extreme weather and high waves”. The powerful tsunami that followed an eruption of Anak Krakatoa hit settlements along the Sunda Strait almost without a warning on Saturday night, killing more than 420 people, displacing thousands and damaging infrastructure. Rescuers on Wednesday continued evacuating stranded residents from remote islands and pushed into isolated communities still desperate for much-needed aid. The disaster agency dispatched helicopters to drop supplies into a handful of hard-to-reach communities along the devastated coastlines of western Java and south Sumatra. 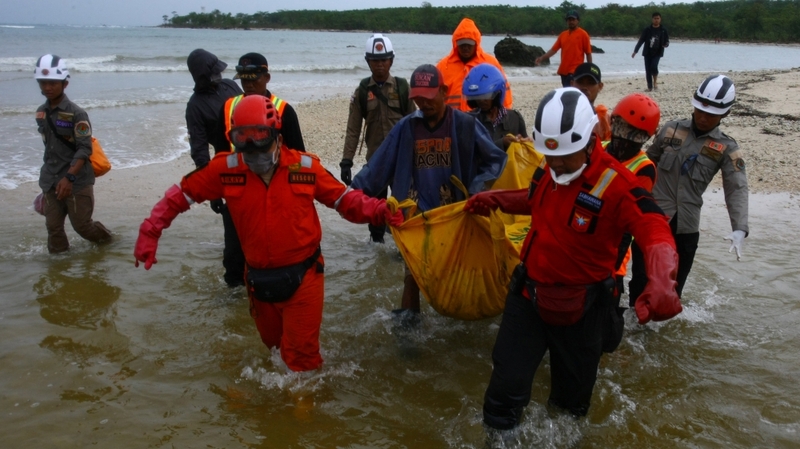 “We’re starting to access the most isolated places hit by the tsunami,” said Dody Ruswandi, senior disaster agency official. Al Jazeera’s Rob McBride, reporting from Sambolo village on the west coast of Java, said parts of the already-damaged main road that is running along the island’s shattered coastline and is being used by all the recovery and rescue vehicles were flooded. “Torrential rain overnight in this part of Java has continued through into Wednesday, making the clean-up and the recovery efforts simply impossible,” McBride said, adding that many of the houses in the village were left without roofs in the aftermath of the volcano-triggered tsunami. Anak Krakatoa is an island that emerged in the crater left by Krakatoa, whose massive eruption in 1883 was one of the most catastrophic in recorded history, killing at least 36,000 people. 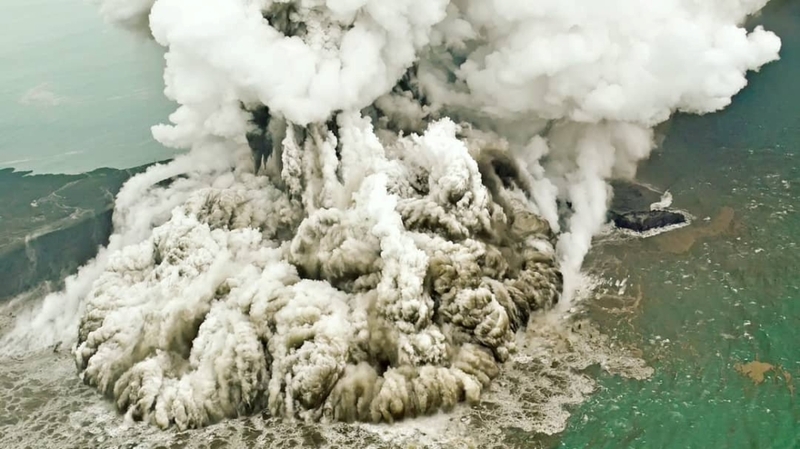 “The concern for volcanologists is simply that they don’t have a good idea of what Anak Krakatoa is actually up to at the moment,” said McBride. With Anak Krakatoa still rumbling and a high-tide warning extended until Thursday, many evacuees seeking shelter in temporary camps are too afraid to return home. On Tuesday, villagers in Sumber Jaya raced for higher ground when word spread another tsunami was coming. It proved to be a false alarm. Later in the day, Indonesia’s Meteorology, Geophysics and Climatology Agency asked people to stay at least 500 meters from the Sunda Strait coastline. Dwikorita Karnawati, the agency’s head, said high waves and heavy rains are possible on Wednesday and the wall of the volcano’s crater is prone to collapse. At a news conference, she said weather and continuing eruptions “could potentially cause landslides at the cliffs of the crater into the sea, and we fear that that could trigger a tsunami”. Meanwhile, medical workers have warned that clean water and medicine supplies are running low, raising fears of a public health crisis as thousands of survivors cram shelters and hospitals. The Indonesian government has so far rebuffed offers of international aid, saying the disaster-prone country could handle the crisis. The country, a vast archipelago of more than 17,000 islands with a population of some 260 million people, sits on the geologically active “Ring of Fire” and is frequently hit by earthquakes and tsunamis. It also came just a few days before the 14th anniversary of the December 26, 2004 tsunami, one of the deadliest disasters in history that claimed the lives of some 220,000 people in several countries around the Indian Ocean, more than half of whom were Indonesians, mostly people living in Aceh at the northern tip of Sumatra..
On Wednesday, thousands were expected to pray for loved ones at mass graves and mosques to mark the anniversary.